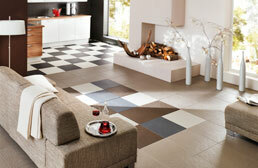 Fall in love again with any room in your home or business with Perfection Floor Tiles. 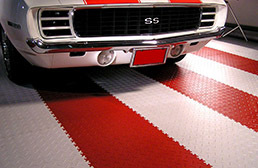 Beginning as a premium garage flooring solution; These soft plastic floor tiles are now becoming the go to floor for any room in homes and businesses. 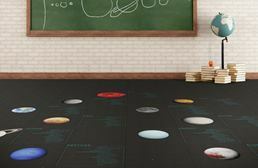 Installing in a matter of hours and providing excellent sound absorption, insulation and resistance to mold and mildew growth make these floor tiles the go to floor for any 'DIYer'. 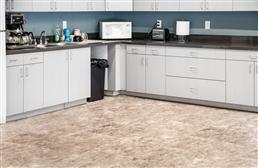 All Perfection Floor tiles are made in the USA and are backed by a 25-year warranty. Snap, Crackle, Pop. Are we walking on Rice Krispie treats? No, it is my garage floor! 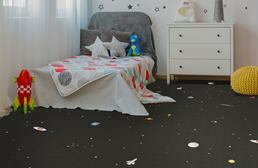 For years that was the typical sound of the newest garage floor craze, plastic flooring. Even though these tiles are way more durable than epoxy, they still have their drawbacks. 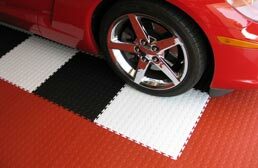 Not only are they loud, but they are also very hard underfoot, and they look very cheap so the garage would be the only place you would want to install them. 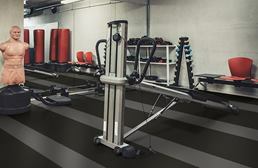 Then came a game changer, soft plastic flooring. Perfection Floor Tiles have been the forefront of this flooring category and have added an alternative to the hard plastic flooring. 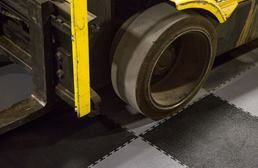 So what makes our flex tiles a great flooring option not only for your garage but any room in your home? Let's find out. For years, Perfection Floor Tiles were only installed in garages. The two most popular tiles used for this application were the Coin and Diamond Flex Tiles. These tiles gave the same look like the hard plastic tiles without the plastic look or noise; This made garages a place for people to gather again and for them to use for other purposes. Soon people realized that the benefits the tiles offered in their garage cold also benefit them in other areas of their home. One of the first areas the tiles were installed in homes were in basements. Basements are usually damp, cold areas of the home, and since these tiles are non-porous, they provide you with insulating properties; This caused Perfection to come up with a product that could compete with standard flooring products. Our Slate Flex – Designer Series Tiles and Smooth Flex Tiles are the Frankenstein creation that would become one of the most popular alternatives to putting natural stone or tile in your home. Our Slate Flex Tiles – Designer Series feature an inspired stone surface that provides slip-resistance, comfort underfoot and warmth. Since these tiles are way easier to install than standard tile and stone, they became the 'weekend warriors' floor of choice. With the success of this pattern, our Smooth Flex Tiles were created as a floor that could be used in rooms where chairs and other furniture could be easily moved. 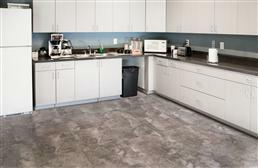 These tiles offer the same qualities as our Slate Flex – Designer Series Tiles with a smoother surface. 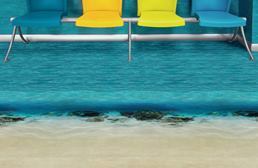 With the success of the standard looking flooring options, Perfection Floor Tile decided to change the game once more. With the rise of vinyl flooring, it was only natural to combine the great qualities with this versatile flooring type; This brings us to our Stone Flex Series and Wood Flex Tiles. Both of these products feature a high-quality luxury vinyl top over a polypropylene base allowing for a quick and easy install. The base also acts like an underlay providing optimal insulation while providing added comfort under foot. So why should you choose Perfection Floor Tiles over other floors you ask? Well, for starters, the installation of these tiles is very quick and easy. Anyone can floor a room within a matter of hours; This saves both time and money, allowing you to spend more time and money on the things you care about. Next, these tiles provide great insulating properties. 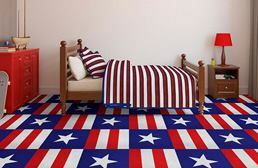 One thing you hear about many flooring types is that they are loud and cold underfoot. 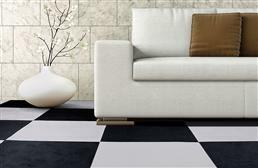 Not Perfection Tiles, these tiles are quiet and provide optimal warmth underfoot. 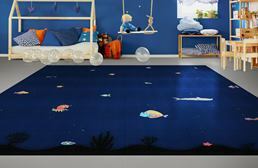 Lastly, these tiles are great anywhere in your home or business. 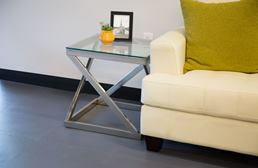 Not many flooring types can say that they can be used easily in both homes and businesses, but Perfection can. 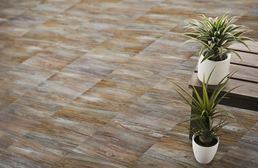 A 25-year warranty backs all of these tiles, and they are made right here in the USA.